Brookdale Sandy Springs was good and the staff was just as helpful as in the other Brookdale. There’s more people and more activity, so if the elderly person is OK with that, then that’s good. It looked excellent with all different activities. In the building itself, there’s a bistro, a nice and comfortable looking dining room, and the rooms themselves were a nice size and very clean. Both of my parents lived at Brookdale Sandy Springs in a two-bedroom apartment. The staff was very cognizant of their medications and brought residents out to museums, lunch every Friday, and shopping. They had a lot of outside activities. They were renovating at the time, so they were painting and changing carpets and upholsteries and everything. My dad complained about the food. The one complaint I have about them is that when Brookdale took over, there were numerous residents, including my mom, who were caught wandering off the premises, or so we were told. They forced us to either hire a 24/7 sitter or move them to the memory care which is way more expensive. There wasn't any warning given, and it was an extremely stressful situation they put us in. In the end, they put my mom in the memory care unit for the same rent that we are paying for in the other unit, so it worked out well for us all. We've been very pleased with Brookdale Sandy Springs (formerly Emeritus at Sandy Springs Place). The staff is very well trained and very committed. They're all trained on how to properly handle people with dementia and memory issues. They have a unique setup, where they're organized into neighborhoods. They don't have one, large dining room. Each little neighborhood has its own kitchen, eating area, and family room, and we like that setup. They group people of similar abilities together. My mom likes the food, and she's not complained at all about that. We're very happy with it. Our only wish is the rooms could be a little larger, but they do that on purpose because they don't want their residents to spend too much time in their rooms. They want them to be out and socializing. Brookdale Sandy Springs seems like a nice place. My mom was in another place for four years, but this one is different and newly renovated so everything is in good condition. There seems to be a lot of activities going on. My mom seems to be content with the food. The staff’s work attitude is good. The surroundings and environment are pleasant. So far, we have not had any issues with this facility. Everything is going fine. Brookdale Sandy Springs was very nice. The people were extremely nice. I would recommend them to anybody, I really would. And if we were going to move down closer that way, I would move my husband in there. My experience in Brookdale Sandy Springs was very good. I didn't see much of the rooms, but they're clean. The whole impression was light, bright, clean, nicely landscaped, and pleasant. They seem to have the whole gambit that the place that we are in has all the activities. They have buses to take people to places. They have all kinds of games like card games, Wi-Fi, computers, checkers, movies, and trips for the people. I'm confident that my loved one is safe. The staff was marginal. When my mother first got into Emeritus at Sandy Springs, she was able to look after herself. She was of the right mind at the time, and the care seemed to go along with that well. There was some neglect as far as the doctor care; they sent people that I would never have chosen for my mother on my own. They were as accommodating as she would let them be. There were very few activities that she enjoyed. It was like a clubhouse, and they had the Red Hat Society, but she was not that type of person. She was more the camper or the swimmer, and she loves the outdoors and nature. I put her in the wrong place, but as far as what they did for the people who liked that type of living, it was great. They had movie nights, cocktail hour, a coffee bar, and a beauty parlor. They were very laid back. When it was Emeritus, it was OK, but when it became Brookdale, they lacked in their cleanliness as far as the halls. We are sorry to hear your experience at Brookdale Sandy Springs did not meet all your expectations. Please be assured we are committed to continuous quality service and care and will share your feedback with our management team to better serve our residents and their families in the future. I went to Brookdale in Sandy Springs. It was very nice and very clean. Everybody was very friendly. I thought the rooms were adequate. I was only able to see the studio. I didn't see any activity, but it seems they have enough activities to keep my mother occupied. I saw the menu, but I did not try the food. My husband and I met several staff members when we visited and all were knowledgeable and extremely helpful. It is a lovely facility and the apartment they showed us for my Mom was very nice with a new chrome refrigerator built into the cabinet in the kitchen at a height easy to reach. The grounds are lovely too. They are very responsive to calls and questions and were willing to work with us. My mother lives here. She loves the friendliness of the staff and she thinks the food is delicious. Her family loves that she is well looked after. It was the most affordable option for us and is conveniently located to our family and her physicians. I just had a tour in Emeritus at Sandy Springs. I would say that the lady who took me through was very nice. Their rooms were spacious and nice. However, the negative things about the place were the difficulty to go there in the morning and evening because of the traffic and the difficulty in finding a parking space for the visitors. Emeritus is where my brother at. It is the only place we could afford that had an opening. This is the cheapest one in Atlanta; it's small, but it’s clean. It has everything he needs. It's handicap-equipped and it’s the best we could find. The staff was fine; they were very helpful and they did everything they were supposed to do. The dining room is very attractive and has a nice view. They are a lot of choices and the food was good -- they can even bring it to you. They have all sorts of activities such as movies and trips out for lunch. He is in independent-living and they can take him places all the time. They have card games and they take him to church. What I really like best is the price, but I hope they can improve on the front door as it doesn't have easy access for the handicapped, but it works. My mother loves Emeritus at Sandy Springs. The transition was great. I think she is doing really well there. She doesn't have any complaints with the food at all. The only thing that she said to me is that she feels like there are too many residents per staff. Not because they haven't done anything for her, she just feels they have them stretched too thin. Also, there are a lot of issues with communication. My mom is deaf, so I think it was just more of the staff getting to know her and realizing that she has to look at them because she reads lips. However, so far, it has been great. Nobody is perfect, but they have come very close. I'm very happy with it. With my mother being so far away from me so I can't actually check on her, it gives me great comfort to know that she is in good hands and that they're taking care of her. If you are looking for a facility that treats your love ones like their own this is the place. I have called and took tours to other places but Emeritus hands down showed me from the start that they really care about their residents well being. My dad means a lot to me and they showed us that we wouldn't have any worries. When I did my tour I felt that the staff takes pride in making sure my dad was and continues to stay happy. That gave us a piece knowing that they go the extra mile for our dad and all the residents that we have met. It took me some time before I posted this because of past experiences with other facilities but I want thank you guys at Emeritus for the time and care they put into my dad. My father, a resident at Sandy Springs, recently fell ill and required a trip to the local hospital. He spent three days away from Sandy Springs, with no family members in the vicinity to check on him. Entirely unsolicited, a staff member of Sandy Springs took it upon herself to visit and comfort my father at the hospital. I learned of this while speaking to the employee as we tried to arrange a pickup at the hospital to return my father. That same employee took it upon herself to pick up my father, really saving the day on a variety of levels. Extending one's self in such a manner is entirely genuine, supporting all claims that the staff at Emeritus Sandy Springs is an extension of family. I'm not sure every member of Dad's family would have extended themselves in such a manner. If there were a 6th star I would have gladly given it to Emeritus based on such an act of kindness. Emeritus was very resourceful. I enjoyed their professionalism and the cleanliness. They were more than glad to give us a tour of the facility and speak with my parents concerning healthcare insurance that was accepted with their facility. They offered many amnesties are associated with Emeritus that includes spacious living, individualized care, and short-stay respite. The medical staff is available on a 24 hour 7 day a week basis. My parents were impressed with the personal emergency response that also comes along with your living quarters through the push of a button. This added extra assurance to my parents about putting my granddad in a care facility. I liked the landscape as well because it gives the residents a tranquil feel that includes a lake that has ducks that are there for feeding. 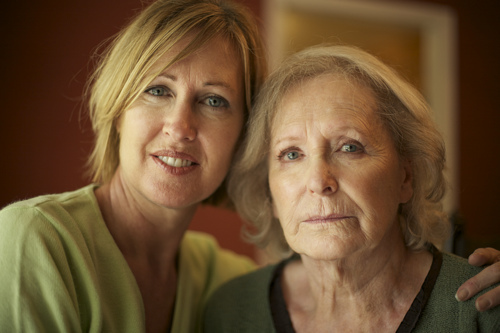 They are also experienced in working with individuals with Alzheimer's. That was a plus because my granddad is at the beginning stages of the disease. I went to this facility to visit several of the residents to ray for them. I have had the privilege of going to several of the facilities to talk with some of the residents. The first thing I noticed about this facility was the fact that it was nice and clean. The staff were very friendly and easy to talk to. Despite the amount of residents at the facility, the staff were able to handle the specific needs of each individual person there. This would be a facility that I would definitely recommend for others to go to. The size of the rooms were definitely a plus! There was also alot for the residents to do, bingo being one of the main attractions. They will definitely not be bored here nor will they be under-cared for. This is the place you want to leave your family if they are in the area! They were very nice. The rooms were huge and my stepmother was very comfortable. The staff was very cheery and made her feel very good about herself. I did a lot of research before we sent her there and they seemed to be the best and the cleanest. The doctors there were very knowledgeable about her conditions and made me feel more comfortable about leaving her there. Overall, this very emotional experience could have been terrible. Instead, the whole thing went as smoothly as possible. She felt like the staff there were her friends. She was very comfortable which was strange considering she is not the nicest, open person. She was very set in her ways. She seemed brighter when we brought her there. Almost like she was at peace with the way things were going. The sense of peace that we all got from the experience is almost overwhelming. Emeritus is a wonderful assisted living home, in my opinion. The rooms are very spacious and the amenities are amazing. If I was in need of moving into an assisted living facility, Emeritus is definitely where I would highly consider moving into and living at. The staff is wonderful, attentive, kind and very knowledgable. There are many sitting areas all throughout the building and on both floors. Many sitting areas have televisions or other means of entertainment for leisure time. There is a garden room that you go through to get out to the fenced in garden area. The garden area is completely fenced in for dogs. There's a pond with fish, sitting areas and smoking receptacles in the garden. The garden room has a full refrigerator, full kitchen, counter space and multiple tables with 4 chairs at each. There is also plenty of free space. All in all, Emeritus is a great facility and I am very pleased that this is the place that my grandmother is living in! I stayed overnight with my aunt who suffered from hip surgery and memory loss. They had twenty four nurses available every hour the nurse came in to check up on her and make sure she was doing alright. I recommend this place. I have an aunt that is a resident and whenever I visit her she tells me how wonderful everything is. When i visit i notice staff members taking care of the seniors individually and meeting there needs. I saw most of the seniors playing Bingo, karaoke but Aunt was more interested in the television and playing board games. My brother is in Sandy Springs Place. It's obviously well cared for, but not really rigid. There are a lot of people interacting with each other. There was a woman there that I haven't seen recently, but she was always walking around barefoot. I thought it was great that nobody was uptight about that. The staff members are very friendly and capable, and appreciate the fact that we recognize their participation. You know that they know you're a relative. We just celebrated Thanksgiving there last Saturday and the food was exceptionally good. He hasn't complained about it. They go out on excursions and they even went to a civil war museum. He is a big history buff, so that was a lot of fun for him in particular. They went to a Porsche sales place, which was a lot of fun for the guys. They even recognized the veterans on Veterans Day. They have church once a week. If you need something for your relative that you couldn't do, they would try to work it out for you. If it were a little less expensive, I would be happier. Brookdale Sandy Springs was a great facility. 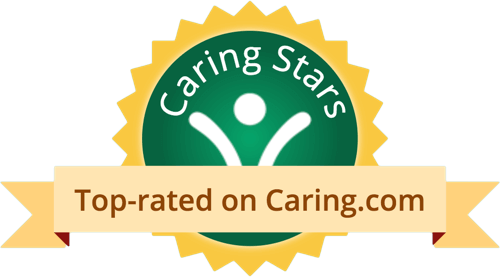 The staff was very hands-on and took very good care of my mom. I have nothing bad to say about them. Mom was in a semi-private room, and the price was good. There was an outside area where she could go out to on her own. They had music and all kinds of activities. The residents looked very happy. The staff here is amazing! My Dad is a resident, and he is treated like family. They have activities all day to keep him occupied. I have been very happy with the care & know that we made the right decision. Please avoid this facility if you can. My father-in-law was placed here by my mother-in-law and has passed away since. On more than one occasion while picking him up we found there was no medication, unsanitary conditions in the room, and since he was incontinent we found caked on feces that took us a while to get cleaned off. When we asked about his sugar levels because of his diabetes we were told that according to his file he is not diabetic so we do not check. Although there is some nice staff, complaints to management in regard to the above mentioned are ignored. There is a reason why there are cheap. small and quiet not really my thing i however they have some very caring and warm hearted staff as i watched a few of the staff with the residents i could tell they had personal relationships it seemed more like friends and family helping one another. What should caregivers and potential residents know about Sandy Springs Place?